Your cosmic ordering request is very important to us. Your request is number 36,012 in the queue. Please hold. 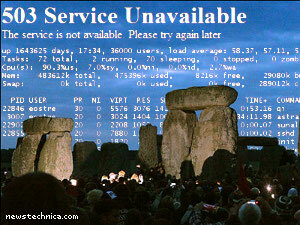 Photo from the BBC at Stonehenge this morning; the poster asserts that the use of this image is fair use under US law for purposes of political and satirical commentary.